The South Indian Bank Limited, which is one of the premier of the Commercial Bank in India is inviting applications from aspiring Indian Nationals for the posts of probationary Clerks. When everyone was constantly ruminating about the next year vacancies , here is the notification from South Indian Bank for the Post of Probationary Clerks for the year 2017 and this will bring the much needed enthusiasm to the candidates who wish to start a banking career in the forthcoming days. The SOUTH INDIAN BANK which has it’s headquarters at Thrissur, Kerala has a strong presence in the Southern States and this is a great opportunity to start your career with a pioneer in the field of banking. The registration for the post of Probationary Clerks start at 20th December, 2017. 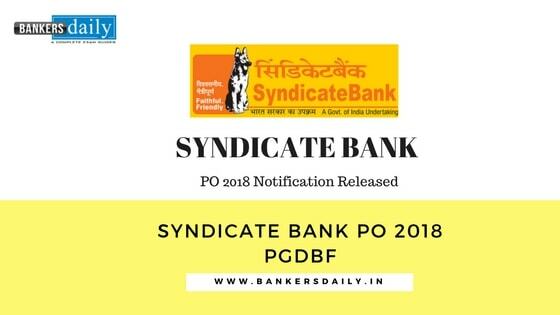 Aspirants who wish to apply for the posts available in South India Bank Probationary Clerks ca apply from the above said dates. The Total Number of vacancies available for the posts of Probationary Clerk in the SOUTH INDIAN BANK is 468. 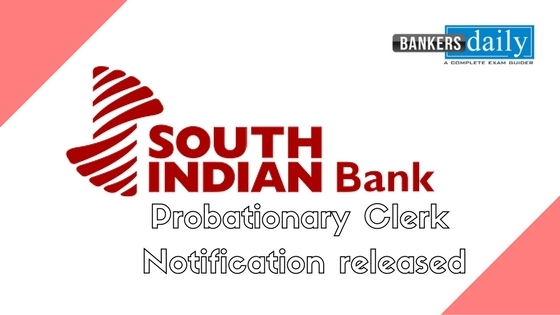 You can check the official notification of the Probationary Clerks in the SOUTH INDIAN BANK from the link that is provided below. Who can apply for the posts of Probationary Clerks in SOUTH INDIAN BANK in the recruitment ? Indian nationals who have their residence in the states of Kerala, Tamil Nadu, Andhra Pradesh, Telengana and Delhi NCR. As said the total number of vacancies available for the post of Probationary Clerks in SOUTH INDIAN BANK is 468. The individual vacancies for the above said state are as given below. Candidates to go to the Bank’s website ‘www.southindianbank.com’ click on the option “APPLY ONLINE” which will open a new screen. Note : The number of vacancies is provisional and may vary according to the actual requirements of the Bank/ future contingencies. The aspirants who wish to apply should have completed X/SSLC, XII/HSC & graduation with a minimum of 60% marks under regular course. The educational qualification should be considered as on 31st December, 2017. Less than 26 years as on 31.12.2017. Candidate should be born not earlier than 01.01.1992 and not later than 31.12.1997 (both days inclusive). Candidates having permanent address in the respective state or those who have been residing in the same state continuously for the last 5 years and are proficient in local language apart from English only are eligible to apply. We will update the Link to Apply for the SOUTH INDIAN BANK which starts tomorrow, keep an watchful eye to apply for the exam.